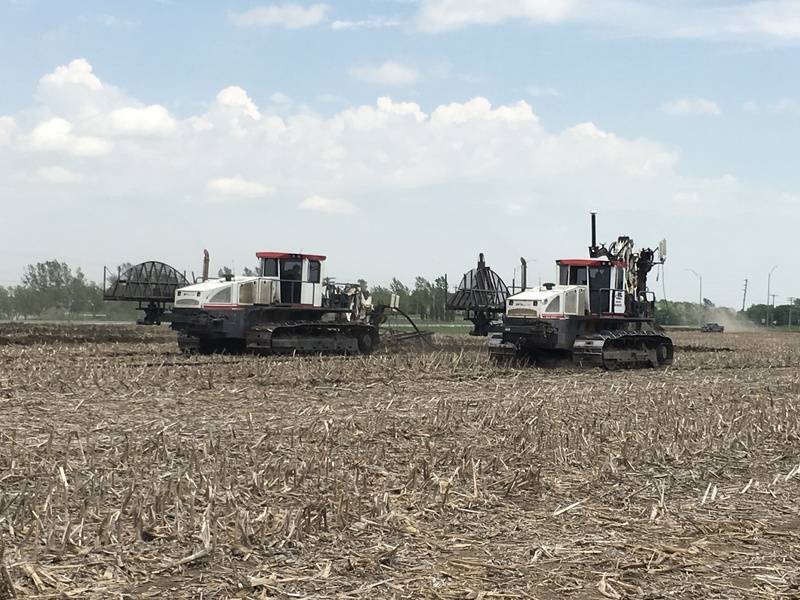 Hol Drainage Inc. specializes in farm drainage. We support precision farming by using RTK, GPS, topography mapping, and laser technology to build the best plan to solve your farm drainage challenge. Our detailed plans minimize unknowns and make it possible for all stakeholders, landowners, tenants, and farm managers to agree to one master plan before the project beings. When the job is done, maps are provided to you at no extra charge. Subsurface tiling – Strategically placed pipes drain water from isolated wet areas in your field. Pattern tiling – Carefully planned drainage system installed across an entire field. Pattern tiling may include surface intakes or inlets. Controlled drainage – A proven way to limit the nitrogen loss associated with conventional drainage. Water control structures are placed at strategic points to raise water elevation. Controlled drainage is a good solution for fields with limited slope. Subsurface irrigation – Sub-irrigation adds water to the subsurface drainage system to raise and maintain the water table close to the outlet depth. Typically requires closer spacing of the tiles than in a conventional or controlled drainage system. An adequate water supply to meet crop needs is also required to make sub-irrigation an option for you. Our equipment enables us to install all types of tile, from 3-inch to 15-inch single wall or up to 24-inch dual wall. For tile jobs larger than 24-inch, we bring in our excavator. We have the capability to both trench and plow in tile, giving us the flexibility to choose the most economical option for your unique drainage job.